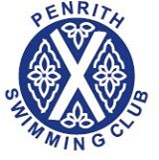 PENRITH Swimming Club member Laura Huggon is already acknowledged as one of the best swimmers in the North West and this year she has achieved even more than in previous ones. In the county age groups she was first in 50m, 100m, 200m and 400m freestyle; 50m and 200m backstroke; 100m and 200m medley; and 200m breaststroke. In the countychampionships she took first place in 50m, 100m and 200m freestyle; 50m, 100m and 200m backstroke; and 100m and 200m medley. Her proudest moments though were the new county records she achieved for 50mbackstroke, in 30.48sec in Carlisle, a record set in 2006; and for 50mbackstroke (long course) in Stockport in April, a record set in 2002. This qualified Laura for the national championships. She swam in the Scottish nationals in Edinburgh against top athletes from across the UK, achieving a personal best time of 59.73 in 100m freestyle, giving her fourth position, along with a third place in 100m backstroke. Laura has achieved great success already this year. With hard work anddedication, she hasmanaged to balancecompetitive swimming with her final year of A-levels. She is currently sitting four A-levels, which she hopes will earn her a place to study dentistry in September. Still dedicated to her sport though, she has already checked out the university swimming facilities! Meanwhile, on 21st June, Laura will be heading to Glasgow to compete in the Scottish nationals where she will be swimming alongside the British team at an event being used for world championshipqualifying. She will thencompete in the nationals in Sheffield in July.